As an introduction to this significant facet of tansu function and appearance, allow me to quote from chapter 7 of TANSU: "When tansu are seen through Western eyes that are familiar with and receptive to decorative embellishment, the apparently excessive use of hardware seems to be more visual than functional, as is the case with Korean furniture. 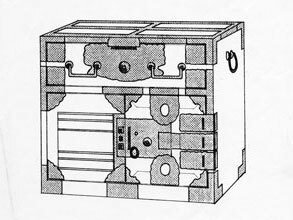 Although excesses unrelated to function are occasionally evident, particularly in urban pieces produced since the late nineteenth century and intended to reflect the owner's status, there was for the most part a direct correlation between function and the placement of hardware on tansu." 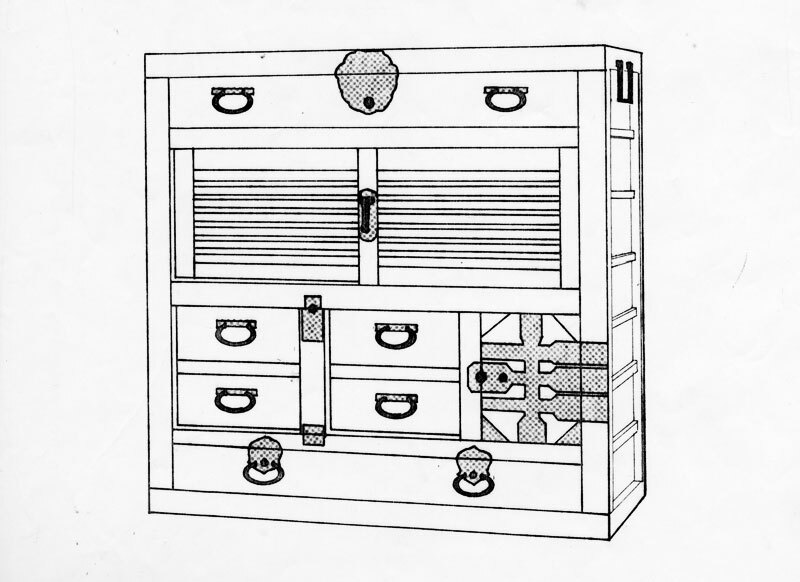 The range of iron hardware employed to secure a chest is illustrated in the line drawings to be found on pages 188 - 190 of TANSU. 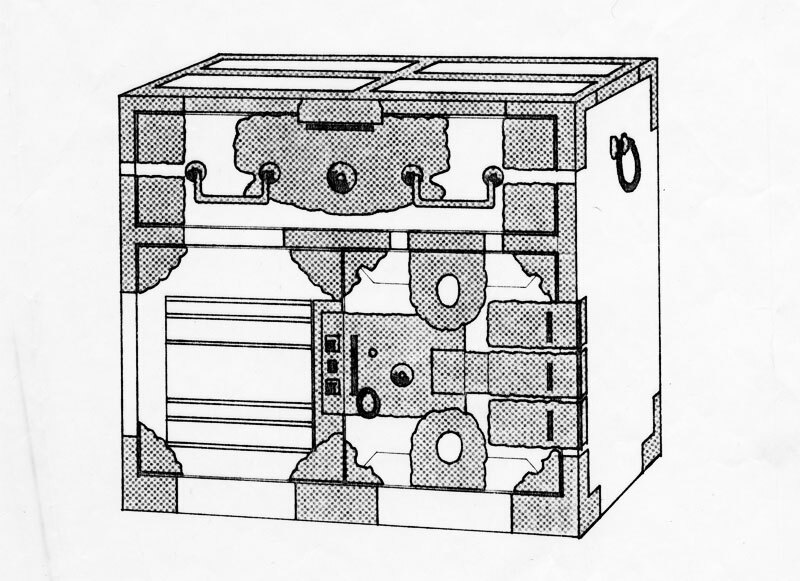 Functional strapping was primarily intended to prevent flexing joints from "breaking open" during the rigors of possible transport. Drawer locks, both the early single action Omotejo type and the later double action Urajo were for security, but from the Meiji Period onwards, came to include auspicious symbols through shape, cutting and carving. Please refer to a copy of TANSU for further details. 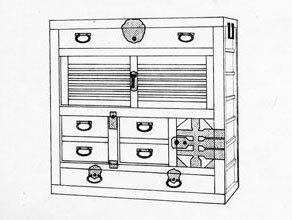 Lastly, let me caution the interested customer to carefully examine any tansu for indication of missing or replaced hardware. Repairs, if done properly, should not compromise integrity.